PO 4x24P2 Tactical Wide Angle Sight w/ AKM BDC and Rangefinding Reticle, Weaver Version w/ Universal AK/SKS/SVD Side Mount. 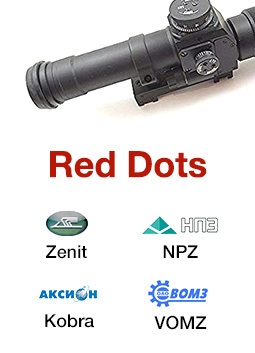 Kalinka Optics Warehouse carries only the finest rifle scopes. While there are several companies in the world that make quality scopes, ours are certainly the only ones that offer professional performance without breaking the bank. 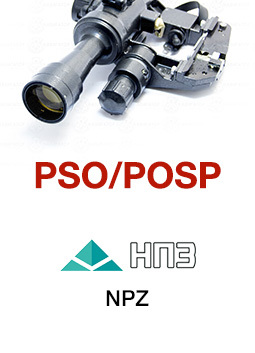 This scope is based on Soviet military designs, which are extremely rugged and have the very best optical properties. 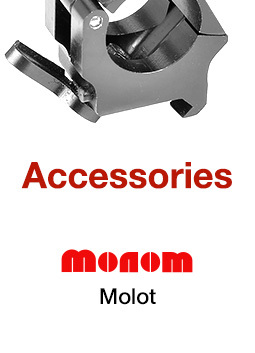 The optics sold here are of the highest quality for military, law enforcement and sporting use. This "tank-like" scope allows easy and precise aiming without the parallax inherent to mechanical sights. You can measure the distance to the target using the special rangefinding reticles for 0.5m width and 1.5m height targets. The reticle has chevrons etched specifically for AKM (7.62x39) ammo ballistic so all you need the elevation turret for is to zero the scope. Turrets have clear 0.1 mil clicks. They are waterproof and can be used in a variety of climate conditions. 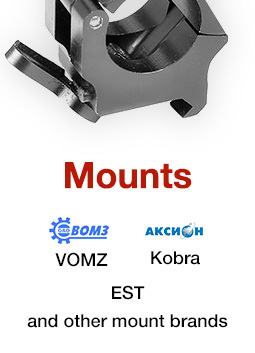 It is easily mountable to any weapon that has a top Weaver or Picatinny mount as well as AK or SVD style side rails. This is the most modern version of this scope so it uses AA 1.5V battery for the reticle illumination.